The gadgets are currently seen in private homes and offices for various reasons. Before now, it was common to see surveillance cameras in public buildings, particularly along public streets and certain institutions in the country. But now, the use of security cameras in private homes, commercial avenues and for more personal use is becoming en vogue in the society today. While some people make an effort to announce the existence of surveillance cameras within their premises in a bid to scare away thieves and people with mischievous motives, others have taken it as a tool to spy on others. However, the recurrent use of security cameras has not only helped in curbing robbery but has also become one of the best ways to identify and arrest buglers. Owners of magnificent homes in Yaounde and other big cities in the country have security cameras placed in almost all corners of their homes not only to ensure maximum security of their properties but also to take stock of what happens at home in their absence. 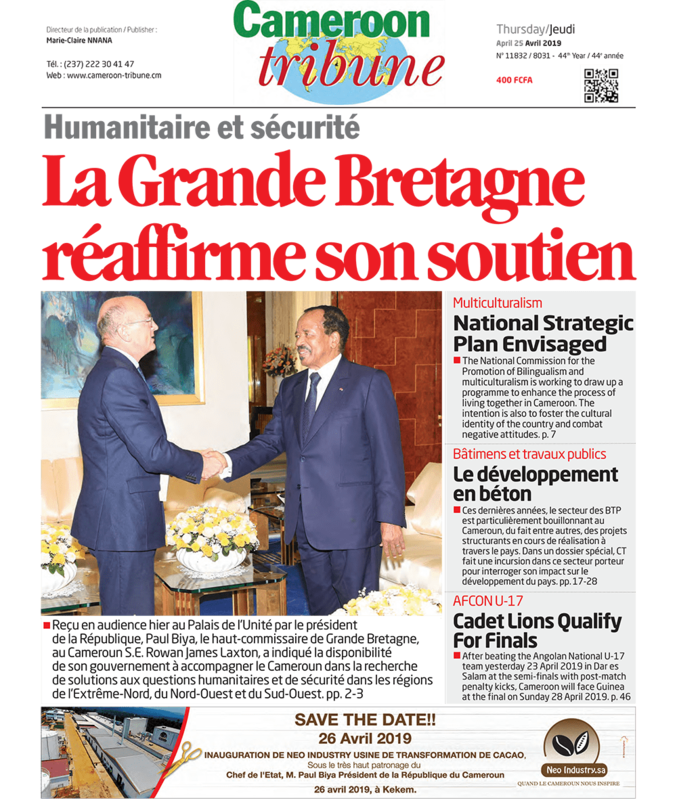 An owner of such an apparatus who opts for anonymity tells Cameroon Tribune that a residential security system is becoming more and more important due to the increasing crime and theft around. According to the source, they are able to provide individuals with live or recorded video footage on any property. A police source says thanks to the presence of surveillance systems, video evidences have led to the incarceration of many criminals in some offices and homes in Yaounde. This is one of the reasons why many people are protecting their homes and businesses with security cameras. Besides, most mothers say setting up surveillance cameras at homes have enabled them see how some house mates go about their duties, especially babysitting. The popularity of security cameras has increased in most offices. Observers say video surveillance in the workplace protects both the company and its employees. Reports reveal that installed video surveillance systems inside and outside some workplaces have recorded criminals who vandalize or steal company property. Video surveillance cameras have also recorded acts of employee theft as well as monitor employee productivity, determined job performance in areas where the employee needs improvement and ensure that employees follow company safety rules at work. Video cameras in company parking lots and outside office buildings have helped company security officers to ensure that employees reach their vehicles safely especially as some of these cameras can record instances of employee abuse or harassment towards other employees or outsiders, which can be used as evidence against the antagonist. However, some individuals do not announce the existence of surveillance cameras within their premises and use it as a tool to spy on others which is against the Penal Code.